In 2015, approximately 4.6 million students pursued studies in a country other than the one in which they were born, according to the Organisation for Economic Co-operation and Development (oecd.org). That’s up significantly from 2.1 million students studying abroad in 2001. Many of these students chose to study at U.S. institutions, accounting for a quarter of total students who studied internationally. Whether U.S. students are headed to distant shores or students from around the world come to the United States, studying abroad can be a valuable cultural exchange, allowing young people to gain skills critical in the global marketplace. Although historians can’t point to a specific occasion, these wise words are commonly attributed to Benjamin Franklin. Many of the world’s best and brightest are choosing to make that investment in the United States, contributing not only their tuition dollars to private secondary schools and institutions of higher education, but working and living in the communities close to their schools. In Virginia, approximately 20,400 international students have contributed an estimated $688.3 million to the economy, supporting 9,118 jobs across the state and keeping tuition costs lower for domestic students. All this means that U.S. students have unique opportunities to interact with different cultures without ever leaving the country. In many cases, however, this exposure to new groups of people and diverse ideas at home can spark an interest in studying abroad. If your child is one of those adventurous learners who is ready to see the world, there are some important legal preparations you should make before packing any bags for a semester abroad. Most people realize that you need a passport to travel out of the country, but you should also prepare for the fact that it could take several months to receive the official document after the application is submitted. Once issued, the passport is generally valid for ten years, except for children under the age of sixteen, whose passports are only valid for five years. Do you already have a passport? Great! Double check that the expiration date is more than six months after your planned return date home and that you have two or more blank pages left. Some countries may not let you enter if you don’t have adequate time remaining on your passport. Check the travel and student visa requirements. The United States has agreements with a number of countries to streamline traveling, but you should always check for the updated requirements for your destination. Extended periods of study may require a special type of student visa, while shorter term visits may necessitate a different travel visa. Many study-abroad programs offer assistance obtaining the appropriate travel documents for your destination. Plan ahead for injuries and illnesses. Your health insurance may not cover you if you get ill or injured abroad, so you may want to consider purchasing a supplemental travel policy. Your doctor can also advise if you need any additional vaccinations particular to your intended travel location before you leave the U.S. You should research medical facilities available at your destination, as well as read updates from the U.S. Centers for Disease Control and the World Health Organization before traveling. Do you have a medically necessary prescription? It may be illegal in other countries. Check with your doctor for alternatives, or find out what documentation may be required for legal transport of the prescribed drug. Know where the closest U.S. Embassies or Consulates are located. While you hope that your travel will go as planned, it’s always practical to keep a copy of the contact information for the closest U.S. Embassy or Consulate in the country you are visiting. The U.S. government officials at these locations may be able to assist in case of an emergency, such as if you are the victim of a crime, have a medical emergency, or need to contact family in the U.S. for financial assistance. Take a few minutes to bookmark the website on your mobile device, but also write down the phone number and address in case your device is misplaced or stolen. Keep an extra copy of your documentation. Being a victim of a crime can be stressful in any location, but especially so when you are in another country. If your passport, ID, and other travel documents are stolen, it may be difficult to travel back home (or contact an embassy for assistance) without a record of your identity. Consider scanning and saving a copy to a secure location that you can access from a mobile device. 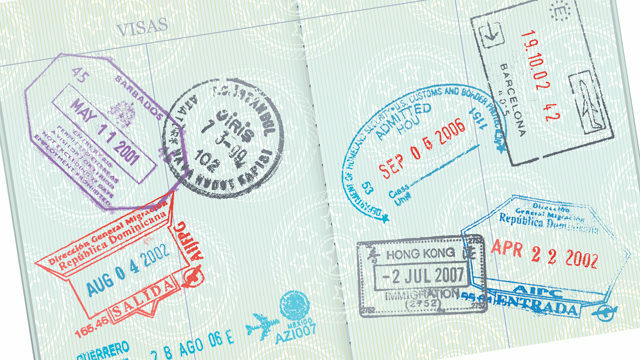 You should also keep a printed copy of your information in a separate location from your passport. Many people also choose to leave a copy with a trustworthy person stateside. Important: If your passport is stolen, you should notify local authorities and the nearest U.S. Embassy or Consulate as soon as possible. The passport will be deactivated so someone can’t use it to enter the U.S. or another country illegally using your identity. As you travel, you may want to bring back a souvenir to commemorate your studies, but be sure to check the list of forbidden items on the U.S. Customs and Border Patrol website before purchasing a memento. Seemingly innocent items such as flowers, toys, and food may appear harmless, but are often prohibited in the U.S. for health and safety reasons. These products could be confiscated during your return trip to the United States. Be prepared and have fun! A study-abroad experience can be extremely rewarding, and you can improve your travel experience by being prepared before you leave the U.S. The United States Department of State should be your first resource to learn about visas, important laws, customs, medical care, and other critical topics. To learn more about your specific destination, visit travel.state.gov. Be sure to share your experiences and your new international knowledge after your return to the U.S. And congratulations! In a worldwide economy dependent on the exchange of goods, services, and ideas, you have the advantage of a more diverse global perspective. Next articleCan Your Kid Help a Bullied Kid? 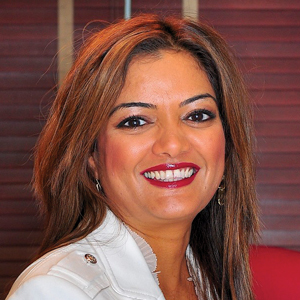 Lakshmi Challa is the founding and managing attorney of Challa Law Group, an immigration law firm in Glen Allen. She has two adult children: one who lives in California and one in Richmond. She has a passion for helping not only entrepreneurs who want to bring their best ideas to the United States, but those with voices that often go unheard.